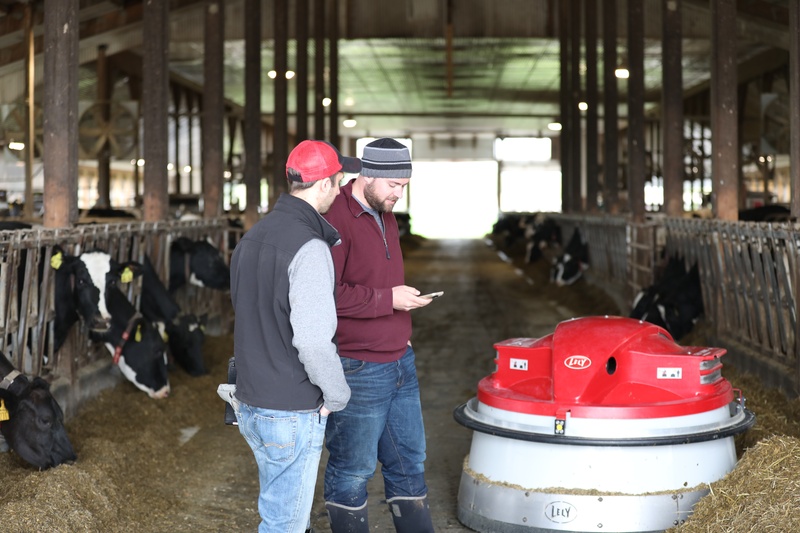 Lely is dedicated to providing dairy producers with tools to better manage their herds, including solutions to increase herd health and improve milk quality. The Lely Astronaut A4 robotic milking system allows dairy farmers to milk their herd automatically, giving them the freedom to spend quality time with their family or focus on other aspects of their operation. Are you looking for more freedom and family time; or are you on the path to growing your dairy operation? Lely’s automatic milking and feeding solutions will help you make the right choices for your herd and operation. Every Lely solution can be used to achieve your specific goals, whether they be more efficient use of labor, healthier cows, increased yields or more time with your family. Lely has experience assisting dairy producers in the setting up of every size of milking operation and will help you design an optimal system based on the way you want to manage your dairy. If you have questions about barn layout—including retro-fit versus new construction or equipment needs, Lely will work with you every step of the way. A farm assessment from Lely requires no commitment. It’s an opportunity to learn how a Lely system could benefit you and your dairy operation. If you’re looking for a better way to dairy, look no further. Click here to see how Lely can help grow your operation. Lely – The way to dairy.